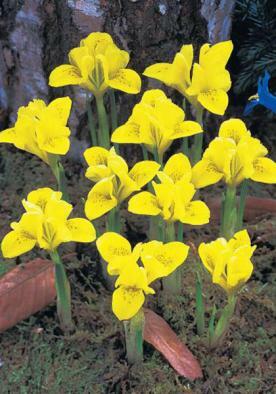 Perhaps the most lovely of all the irises; a real gem and cheery little flower. Deep lemon yellow with dark green grey spots down the throat, slightly scented. Flowers in February.